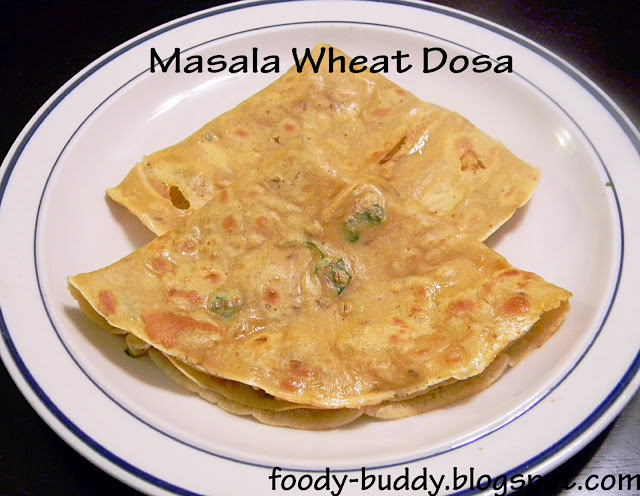 Masala wheat dosa is a simple and delicious dosa recipe. It is made with whole wheat and spices. This dosa is a powerhouse of fiber. I got this recipe from my friend. 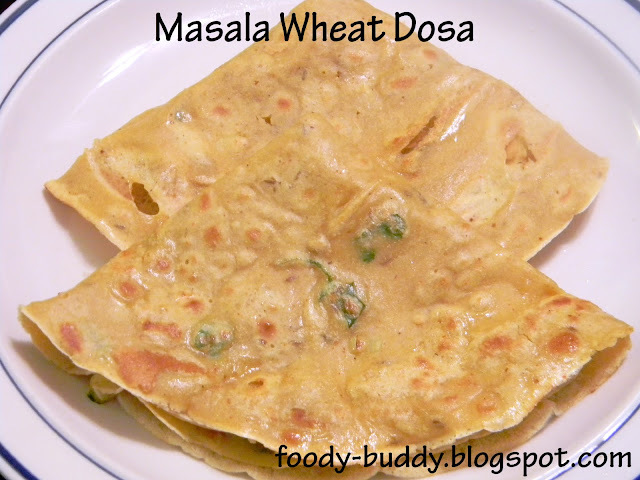 Instead of eating regular wheat dosa, try this recipe for a change, you will like it [[f9.silly[[f9.tongue1]] It goes well with coconut chutney or peanut chutney for breakfast or dinner. Take whole wheat flour in a wide bowl, to that add turmeric powder, coriander powder, red chilly powder, cumin, garam masala, green onion, green chillies, cilantro salt and water. Mix it like a dosa batter. Heat a dosa pan or griddle, pour a ladleful of batter, spread it like dosa. Apply oil over dosa or in sides. cook both sides until it turns crisp. 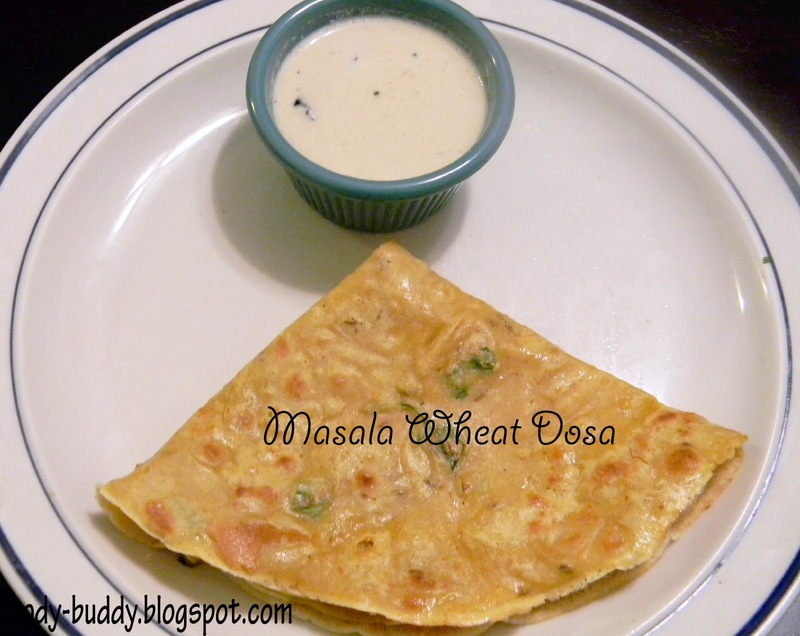 Wheat Dosa is ready to serve. Serve dosa with coconut or peanut chutney or onion raita. 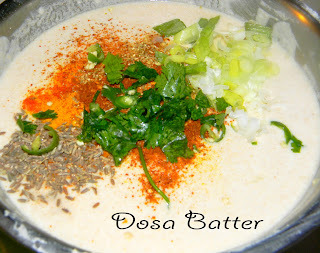 You can also add onion and more chilly powder, if you want too spicy dosa. You can add finely grated carrots or any vegetables of your choice.